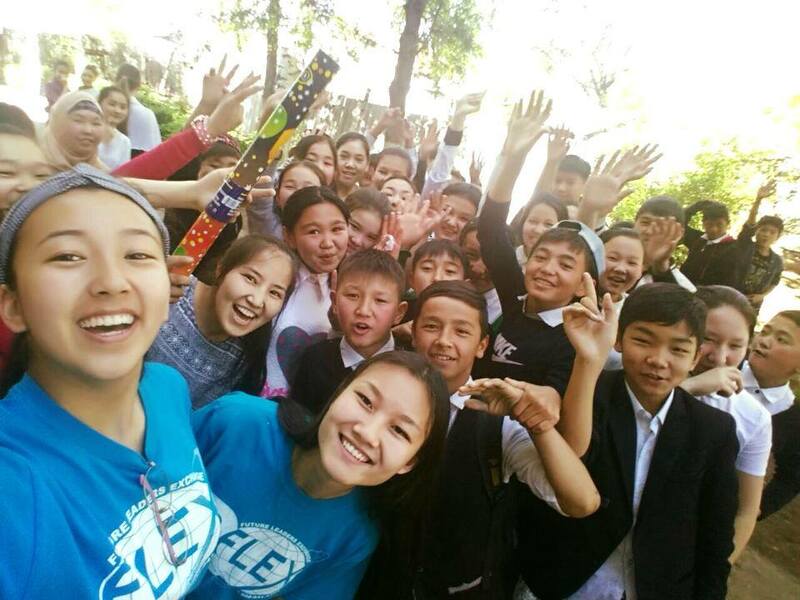 From April 11 to 17 Didana Suseeva ’15 together with four FLEX alumni implemented a series of trainings for middle and high school students in four cities of Kyrgyzstan, Naryn, Karakol, Tokmok and Besh-Koruk. The aim of the project was to raise awareness about environmental protection and cultural preservation and to enhance young people’s leadership skills. ‘To make our cities tidier and our historical monuments better preserved, we need to change people’s attitude to community work. That’s why in my project I focused on young people who will become the change-makers soon,’ says Didana. The content of the trainings was adapted to different age groups. In Tokmok and Besh-Koruk the trainings were conducted for primary and middle school students and focused on environmental protection and hygiene. In both cities the schools provided conference rooms for free. To capture the students’ attention the FLEX alumni used a lot of games, quizzes and fun experiments. After the trainings flowers around the schools were planted and the students would take care of them in the months to come. In Karakol and Naryn the participants were high school students who learnt about the principles of community service, civic activism and the importance of cultural and historic preservation. One of the highlights of the training in Karakol was an educational quest in the Victory Park that consisted of various ecological, intellectual and sport challenges. ‘Fun facts are memorised much quicker than boring ones that’s why we decided to teach history in an informal and engaging way. For example, we encrypted names of the WW2 statues and monuments and students had to figure out a way to decipher them,’ says Didana. After the quest the participants cleaned the park and its monuments about which they had just learnt. The project showed students that it was possible to make a difference with very limited resources and meet new friends along the way. 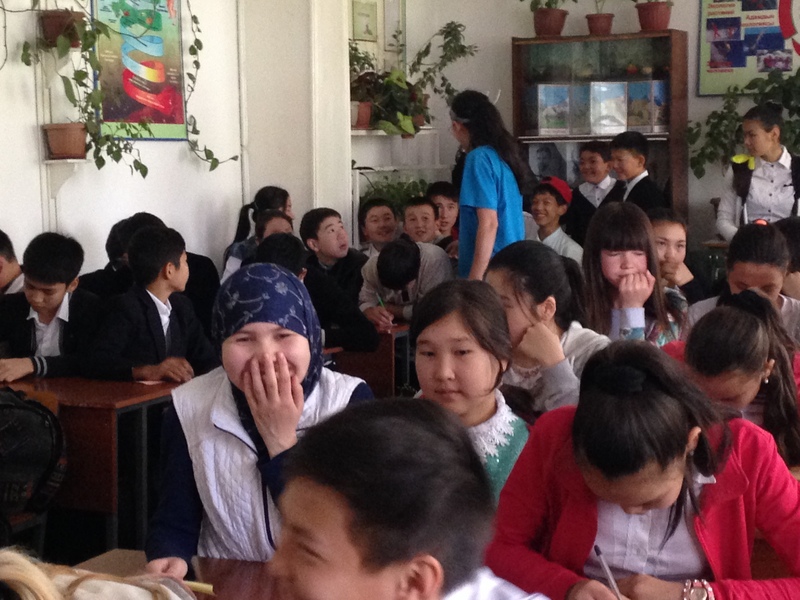 ‘Upgrade’ was covered on social and national media (among other GYSD projects) and was supported by a range of local and international partners, including American Corner in Karakol, NGO ‘Leader’ and ‘Visit Karakol’ website.